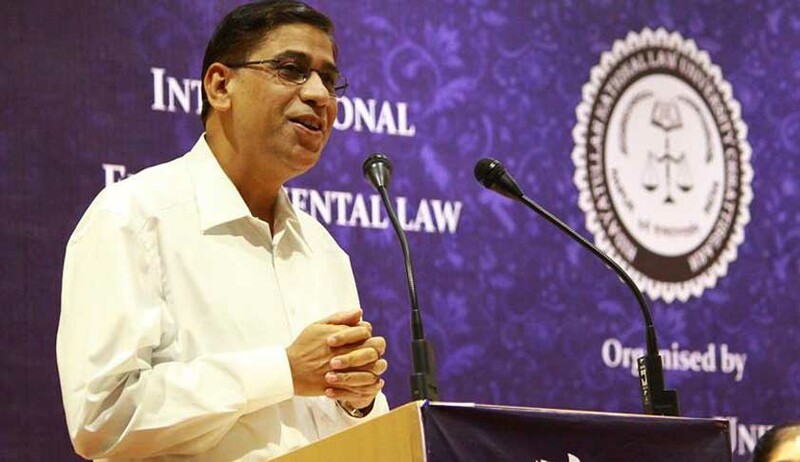 Prof. Faizan Mustafa is a renowned law teacher who is presently working as the Vice- Chancellor of NALSAR University of Law, Hyderabad which is India’s leading National Law University. He was the Founder Vice-Chancellor of National Law University, Orissa where he had put to use the concept of ‘integration of knowledge’ and introduced highly innovative legal education curricula. He is the Advisor to National Law School & Judicial Academy, Assam. He is known for his institution building abilities and democratic leadership. He is also visiting faculty to several reputed institutions in India and abroad. He was the founder Director of KIIT Law School, Bhubaneshwar. He had also served the Aligarh Muslim University as its Registrar. He had also worked in the new area of Copyright Law and was awarded Ph.D. in the Intellectual Property Law in 1996. He was conferred the SAARC’s Best Law Teacher Award in 2014. He has written eight books and contributed more than 150 articles. Supreme Court of India has also quoted him. His articles have also been quoted in several other countries. He is also writing a volume on the Reinstatement of Indian Laws which is a huge project of the Supreme Court of India and Indian Law Institute. He was also one of the contributor to famous Encyclopaedia of Legal History published by the Oxford University Press, United States of America. He regularly writes in the national dailies on current issues and his articles appear in all leading newspapers of the country. LiveLaw : Your writings have received considerable criticism in the recent past. Why are you receiving brickbats from both Muslim fundamentalists and Hindu right-wing fanatics? Prof. Faizan Mustafa: As someone who has been teaching law for over 26 years, I have consciously tried to generate informed discussions about the complex field of Muslim Personal Law. This field is at the centre of long-standing public debates on the feasibility of a Uniform Civil Code in India. In pursuit of this objective, I have been fortunate enough to have my views disseminated through well-known sources in the print and electronic media. A few months ago, I had an opportunity to present my views during two consecutive primetime shows anchored by Mr. Ravish Kumar, which were broadcast on NDTV India and the recordings of the same can be viewed online. In recent years, my opinion pieces have been carried by several national newspapers. Hence, my writings are very much available for public consumption and scrutiny. As a consequence, I have had the opportunity to discuss my views with a large number of people, many of whom have sharply disagreed with my positions. However, most of these discussions have been conducted in a calm and deliberative manner where I also get to learn from the points raised by others. But there is no point in either responding to trolls or their supporters. Some Muslims have made it their profession to criticize Islam and earn their livelihood by criticizing Islam and Muslims. They are certainly entitled to it. But there is no need to respond to those who do not contribute in any way to the ongoing intellectual debate. A former student of mine wrote to me that I must be doing something right because of which I am receiving criticism from both Hindu fanatics as well as Muslim fundamentalists. Personally, I do not care about their appreciation or their criticism because they have a rigid ideological position. My position at times is too nuanced for them to understand. Just to give you an example, I am in agreement with RSS chief Mohan Bhagwat and MG Vaidya’s latest statement at Jaipur Literary Festival that we must have a relook at our reservation policy, though I am conscious of the fact that even today we are not able to fill all SC/ST seats in government. You may recall that I had opposed the same Vaidya for his article in The Indian Express, wherein he had advocated denial of right to vote to those who do not accept Uniform Civil Code (Look Who is Talking, The Indian Express, November 16, 2016). I think there is need to see how far it has benefitted backward classes. I think there is merit in examining economic criterion as the basis of reservation, at least amongst the OBC. I do feel Indira Swahney decision is outdated and must be reviewed. Now my support to the RSS chief may annoy my Dalit and OBC friends. Similarly, what I said on Muslim Personal Law annoyed both Muslims conservatives as well as Hindu rightists. Moreover, my feminist friends have also criticised me for my patriarchy, as they got confused about my position on restricted polygamy. The tragedy is that my liberal Leftist friends from Aligarh Muslim University, too, are against me for my stand on the minority character of the university. My Congress friends are unhappy with me due to my repeated criticism of Nehru and Indira Gandhi. Here, I would appreciate Hon’ble Judges who never mind my criticism of their judgments. LiveLaw: One critic of your writings has suggested that you should quit teaching in a law school and possibly join a ‘Madarsa’ to teach theology? What would you say in response to that? Prof. Faizan Mustafa: There is no point in responding to such ad hominem remarks that distract attention away from what is actually being discussed. One could, of course, reflect on these remarks if the intention was to humour the reader. You are aware that for teaching law, I was given SAARC’s Best Law Teacher Award in 2014. However, I would like to clarify my central arguments which have been misrepresented through selective quotations from my writings and without much comprehension of their context. Firstly, at no point in my life have I argued that Shariah-based sources are superior to the Indian Constitution. Secondly, I have never argued in favour of the practice of polygamy. In my writings, I have of course referred to statutory provisions and judicial materials, which, in turn, have grappled with interpretive disputes arising from religious and customary sources. Examining the interface between laws enacted by the State and the prevalent religious practices of different faiths is a significant component of the study of Indian Constitutional Law, Family Law (including Hindu Law), Property Law, Contract Law, the Law of Trusts and Endowments. It even touches on some aspects of Criminal Law and Tax Laws. If secondary quotations of religious sources disqualify me from teaching, then by that standard a large number of law teachers in India might soon find themselves without employment. To reiterate, I have never taken a position to advance the so-called 'cause of Sharia'. Under Muslim Personal Law, we deal with a constantly evolving field that has undergone gradual reforms through statutory changes and judicial interpretation since the late colonial period. Religious sources need to give way to secular values, especially when they have entrenched discriminatory practices. I had said so in the second part of my NDTV interview with Ravish Kumar in October 2016. In fact, my own scepticism about Quranic sources has frequently exposed me to ridicule in the Urdu press/websites. At the same time, we must remember that religious texts from another age cannot always be judged in their entirety through the lens of modern sensibilities. Like the broader course of intellectual history, we must reject the negative practices associated with organised religion but respect the liberty of others to accentuate the positive elements of their respective faith. Right to follow one’s culture is a delicate matter. Tamil Nadu protests on jallikattu do demonstrate that law reforms from above (by the Supreme Court) would be resisted if proper groundwork for the acceptability of reforms is not done. I was myself in Chennai yesterday and have seen the mood of the people. Electronic media did not cover the slogans which were raised. They can be compared with JNU slogans of last year. Right to cultural relativism is a sensitive issue and extreme right must show sensitivity in this matter. LiveLaw: Could you briefly explain why some Muslims are unhappy with your stand on the sources of Muslim Personal Law and the status of Quran as book of law? What was the controversy related to a recent lecture delivered by you in Riyadh? Prof. Faizan Mustafa: Muslims are annoyed with me for five reasons. Firstly, I have said Muslim Personal Law is not fully divine. Secondly, Muslim Personal Law is not ‘law’ within the meaning of Article 13 of Indian Constitution. Thirdly, I have consistently maintained that Quran is not book of law. Fourthly, I do favour Uniform Civil Code, of course, in a piecemeal manner and fifthly, I have been saying that Muslim Personal Law is not Islamic Law but Hanafi Law. In Riyadh, few radical Muslims from Deoband School got angry with my statement of Quran not being a book of law. My position is Quran is paramount source of Islamic law and Muslim jurists have to extract law from it. But in doing so, they need to take into account other sources as well. Quran, in itself, is not a book of law like an enacted Code legislated by Parliament i.e., Indian Penal Code, Indian Contract Act etc. Its verses are not Sections of a Code. As a divine policy, Quran does not contain ‘law’ in the strict sense of the term. ‘Law’ has, in fact, been deliberately concealed by God himself within the legally imprecise and sometimes ambiguous sacred texts. ‘Law’ in Islam is to be extracted from the sources of Islamic Law. Quran is not law, but source of law. This extraction is human activity and is called ‘ijtihad’, which means ‘endeavour’ or ‘self-exertion’. In fact Sharia is based on Divine instructions called ‘Wahi’. Law, on the other hand, does rely on human reason or human speculations called ‘Aql’. Other than Quran and Sunna, all other sources of Islamic law are based on human reasoning such as Ijma (consensus amongst learned), Qiyas (analogical deductions), Istihsan (juristic preference), Istisilah (public interest) and ijtihad (juristic reasoning. Thus, jurists discover ‘law’ in Islam. LiveLaw: Why do you maintain that Muslim Personal Law is not divine? What are the disagreements that you have encountered in this regard? Prof. Faizan Mustafa: I just answered this question. Law making is indeed a private enterprise in Islam. Jurists intervene between God and State. We may or may not agree with them. ‘Shariah’ bears a stranger affinity with revelation (divinity), whereas Fiqh (Muslim Personal Law) is mainly product of human reason. Islamic fiqh is, thus, a rational endeavour primarily based on speculative human reasoning. Muslim Personal Law is based on the interpretations given by various jurists and due to the disagreement amongst jurists i.e., Ikhtilaq, we have various schools. Most Muslims in Indian are Sunnis and follow the Hanafi school. Thus, Muslim Personal Law in India is largely based on the jurisprudence of Abu Hanifa. The most authoritative text of this school is Hedaya, a commentary of book Bidaya written by Burhan al-Din Marghinani who lived in Marghinan in Uzbekistan and Fatwa-e-Alamgiri, which was written on the basis of discussions amongst 40 Ulemas during the reign of Aurangzeb. Thus, possibilities of reforms in law are very much there if those are tactfully undertaken. Muslim fundamentalists are not able to appreciate this distinction between ‘Sharia’ and ‘Law’. They use both the terms as interchangbly. The Shariat (Muslim Personal Law) Application Act, 1937, is also responsible for this confusion. Most Muslims consider Muslim Personal Law as divine and thus, oppose any change in it. More than 3 crore Muslims have signed declarations opposing any change in Muslim Personal Law. I am told Personal Law Board has no place to store these declarations. Muslims are to be educated about the rich human content in Muslim Personal Law to make them agree to reforms. Do you think that some of your positions might actually converge with those of Hindu right? How would you answer their charge that you are a 'hidden Islamist '? Prof. Faizan Mustafa: This is my tragedy and pain. Zahid-e-tang nazar ne mujhe kafir jana, aur kafir yeh samajhtha ke musalman hun main (Narrow-minded Muslim clergy consider me non-believer (one who denies truth) and non-believers think I am a Muslim). By saying that Muslim Personal Law is a private enterprise based on juristic opinions, I have opened the possibility of reforms. Hindu right must thank me for this. If Muslim Personal Law is not as sacred as Muslims believe it to be, they would be willing to accept reforms. Let the reform agenda not be hijacked by Muslim fundamentalists. We should not provoke them. We must educate them. Hindu fanatics should also appreciate me for supporting Uniform Civil Code. But then here again I am for piecemeal UCC. This is a long term project, which would yield better results if implemented in phases. Just see, Hindu law reform process is not yet over after 70 years. Major reforms had to be undertaken in 2005. Few Muslim fundamentalists have gone to the extent of calling me kafir, or not kafir but deserving 10 lashes. I was told in Riyadh that for my views I would be given hell for ever. I do not care for these views. In fact, under freedom of speech, I would like to defend their right to have any opinion about me. For me there is no difference between Hindu fanatics and Muslim fundamentalists. I gladly accept the honour of being called kafir. But what do you mean by term kafir - It means to suppress truth or once facts or truth is known, to deny it. Finally Quran uses term ‘kafir’ for ungrateful. I think by taking nuanced position, I am trying to bring truth to the fore. The Hindu right wants to suppress the truth of its opposition to the Hindu Code Bill and support for polygamy. In my article entitled Look Who Is Talking (The Indian Express, Nov.11, 2016), I showed them the mirror. Similarly, they are unhappy with me for telling the truth of failure of bigamy law under the Hindu Marriage Act. What do you mean being an ‘Islamist’? If following Islam means to be Islamist, then crores of Muslims in India, too, are Islamists. But my religion has nothing to do with my academic positions. I do not bring my religion to my class or in my writings. As a student of law, I am concerned only with law, not with theology. I consider religion to be a private matter of individual’s choice. By denying divinity to Muslim Personal Law, I have tried to prepare the ground for reforms in this field. By saying that Muslim Personal Law has high human content, I have argued for the possibility of changes and reforms within Muslim Personal Law. But for meaningful reforms, I want the clergy’s support. By asserting that Quran is not a book of law, I have invited lot of criticism from Islamic fundamentalists. If the social media warriors of the Hindu right actually read my writings, they might even agree with some of my views. Those who are paid to attack liberal voices may criticise me without understanding the real import of my articles. Such abuses have become too common. No one attaches any importance to them. LiveLaw: Is it not intellectual dishonesty on your part to quote from the Quran and other scriptures instead of referring to the Constitution of India? Does not that mean you are basically a hidden Islamist? Prof. Faizan Mustafa: If quoting Quran against polygamy is to be Islamist, my critics are right. If favouring UCC means being Islamist, the critic is right in calling me Islamist. I have absolutely no quarrel with him. If talking about Articles 25, 26, 29 and 372 means I am a hidden Islamist, it is fine with me. All my arguments are about the Constitution. The Constitution itself gives freedom of religion and right to one’s culture. What is in Quran can easily be argued as an essential aspect of Islam as Quran is word of God as per Muslim belief. ‘Essential religious practices’ are protected by Article 25. For religious law, religious texts are to be quoted. I was arguing that Muslim Personal Law is at variance with Quranic scheme. In most decisions of Supreme Court and High Courts on Muslim law, Hon’ble Judges too cite Quranic verses. No one has called these judges Islamist. Even in Shahbano, Justice Chandrachud cited verse 241 of Chapter II of Quran. Even Modi government’s affidavit in the Supreme Court makes references to Quran, does that mean Modi government is Islamist. Why no one ever said anything about Hindu scriptures or mythological stories being quoted at the sessions of the Indian Science Congress. LiveLaw: It seems that both right-wingers as well as secularists disagree with your stance of denying legality to Muslim Personal Law (MPL)? If MPL is not 'law' in the formal sense, how are disputes between Muslims decided? Prof. Faizan Mustafa: Both do not understand my nuanced position. I am certainly not alone in denying the legality of personal laws. Justice PB Ganjendragadkar (who went on to serve as the Chief Justice of India) in the Narasu Appa Malli judgment of the Bombay High Court (1952) held that personal laws are not ‘law’ under Article 13 of the Indian Constitution. This observation has been quoted with approval by the Supreme Court in the Mathura Ahir case and the Ahmedabad Women Action Group case. I have questioned the legality of the uncodified part of Muslim Personal Law. I have clearly written in yet another article (Illusion of Legality, The Indian Express, September 19, 2016) that “Parts of MPL which have been enacted by Parliament are certainly “laws”. These include the Muslim Shariat Application Act, 1937, Dissolution of Muslim Marriage Act, 1939, Protection of Muslim Women’s Rights on (Divorce) Act, 1986 and Waqf Act, 2013. If any of these laws contravene fundamental rights, the court would be free to strike them out. Nothing prevents the government from enacting similar laws to further reform MPL if there is genuine desire is to bring in reforms and not polarise people before the UP elections.” Thus, I have explicitly favoured reforms through rights-based scrutiny of these legislations. Let Parliament undertake reforms. The MPL is certainly ‘law’ for the purposes to deciding disputes between two Muslims. It is not law under Article 13. Even Supreme Court judgments are not ‘law’ under Article 13, but they are very much binding law for the courts under Article 141. Similarly, constitutional amendments are not ‘law’ under Article 13. LiveLaw: What is your position on the issue of polygamy? Prof. Faizan Mustafa: My discussions on the subject of polygamy have been grossly misunderstood. Readers can easily locate my explicit declaration against the affidavit filed by the Muslim Personal Law Board in the pending litigation on this question (Multiple Ways to Equality, The Indian Express, October 2016), wherein I said in explicit terms that I am against polygamy. In that piece, I had invited readers to consider the issue in a historical sense. Since restrictions on polygamy originally came from Western countries, it would be worthwhile to remember that there is some rethinking in the West on this issue. I quoted leading sociologists who are opposed to bigamy ban due to law’s failure in eliminating this practice. I never said I am in agreement with them. I also said that it was the Hindu right, which had loudly opposed Dr. BR Ambedkar's proposals to prohibit polygamy through the codification of Hindu Law in the early 1950s. (Look Who is Talking, The Indian Express, November 11, 2016). I was talking only on this limited point of limitations of law as an agent of social reform. We need to go beyond law was my central point. I was merely showing that statutory changes such as an outright ban on polygamy had not proved to be an effective solution. Many experts on Indian family law such as Derrett, Anderson and Menski had also opposed an outright ban on polygamy and favoured restricted polygamy in the interest of ensuring effective enforcement. Should we call these experts as Islamists? While considering the proposals to ban polygamy for Muslims through judicial intervention, should we not take into account the previous experience of the past seven decades? Another limited point was that polygamy as mentioned in the Quran is a rare exception with very stringent conditions. Thus to say that Muslim men have a right to polygamy is itself wrong. This point was in fact addressed to Muslim fanatics that even Quran does not permit polygamy and rather mandates monogamy as God himself has said that since you won’t be able to do justice and therefore, have just one wife. No other scripture makes a bold statement in favour of monogamy. In fact, in another article (Three Is A Crowd, The Indian Express, March 17, 2015), I clearly stated that the exception is more important than the rule when I said: “Whether the amendment or abrogation of Muslim personal law violates the fundamental right to conserve Muslim culture depends on whether the cultural identity of Muslims rests solely on their personal law. One view is that neither polygamy nor unilateral divorce can be fully identified with Muslim culture as most Indian Muslims are monogamists and have not exercised their right to divorce. Moreover, Indian Muslim law on these subjects does not reflect the moral mores of the divine verses. The Quran permits polygamy subject to the impossible condition that the husband is able to deal “justly with his wives”. But the Indian law ignores this precondition. Considered in the context of the global history of polygamy, the precondition is more noteworthy than the permission.” A few months later, in another piece (Why Legal Pluralism Matters, The Indian Express, November 16, 2015), I openly urged the ulema to abolish polygamy and agree to reforms on methods of divorce when I said:“The ulema must come forward and remove the un-Islamic elements from Muslim personal law. Second, they must develop some consensus on controversial issues such as polygamy and triple divorce, which the apex court has specifically noted as discriminatory and arbitrary. In fact, the acceptance of modern Nikahnama in itself can solve most problems. Why can’t the ulema settle the issue of polygamy using the analogy of slavery, which, too, is permitted by the Quran, but is no longer acceptable today? Similarly I want people to consider that “live-in” relationship with any number of women is permissible under our laws. Why? Because we attach a lot of importance to individual autonomy and personal choice. In the West also, sexuality of consenting individuals is no more controlled by the state. Our own Delhi High Court did uphold right of people of different sexual orientation. The regressive Supreme Court judgment overturning the decision is now under review. This is another point which is to be kept in view while banning polygamy. In fact, I was expecting that I would be criticised for saying that marriage may be considered as private limited company. This is the new concept. Just like companies or partnerships, let rights and duties be stated in the marriage contract itself. LiveLaw: Why did you observe that a second Muslim wife has better protections in law when compared with a second Hindu wife? Prof. Faizan Mustafa: Hindu bigamous husbands go scot-free as judiciary can do little unless aggrieved wife lodges a complaint. It is an offence against her, not against society. The Law Commission’s 227th report of 2009 lamented about the existing bigamy law under the Hindu Marriage Act, 1955, when it concluded that “it is indeed full of serious shortcoming and loopholes”. It went on to record that “many men whose personal law does not allow bigamy have been resorting to unhealthy and immoral practice of converting to Islam for contracting a second bigamous marriage. In spite of it being illegal, Hindus have more multiple wives as compared to the Muslims. One can imagine what would have been the percentage of bigamous marriages among the Hindus if the law had made it legal for them. Official reports brought out in 1974, almost after two decades’ of prohibition of bigamy highlighted the shocking fact that polygamy among Hindus is higher than among Muslims (Adivasis 15%, Hindus 5.8%, Jains 6.7%, Buddhists 7.9% and Muslims 5.6%). No authentic figures are available for subsequent decades. The difference may appear to be insignificant but in real terms, it is indeed huge. According to 1971 census, there were 45.3 crore Hindus and six crore Muslims. Admittedly approximately 65% of each community consisted of women and children, as many as one crore Hindu men had more than one wife as opposed just 12 lakh Muslim men. Malika B, Mistry’s 1993 research, too, showed no evidence that the percentage of polygamous marriages among Muslims is higher than Hindus. According to the third National Family Health Survey of 2006 as many as 2% women reported that their husbands have more than one wife. Since outlawing polygamy has not worked, we need to think of out-of-box solutions to ensure gender justice, which should mean rights of both the wives, not just first wife. At present when a Hindu man deserts his lawfully wedded wife to live with another woman, the only remedy available to the deserted first wife is divorce on the ground of adultery or desertion. However, most abandoned wives may not view divorce as viable option because of the sacramental nature of Hindu marriage. In any case, prosecution of husband does not help the first wife. She will permanently lose her husband if she proceeds against him. TV anchors are unable to understand the complexities of matrimonial relationship. Hindu men, who contract bigamous marriages, are allowed to go scot-free without any legal obligations towards their partners. It is thus said clandestine bigamy in Hindus is indeed worse than open polygamy among Muslims. Even marriage in Tirupati temple or under the Special Marriage Act was not held to satisfy the heavy requirement of ‘solemnisation’. But, this does not mean I am justifying bigamy amongst Muslims. My limited point was mere banning of polygamy will not work. Asking women to file FIRs against husbands and wait for their conviction after a long and painful trial is not a great option to most Hindu women. In some cases, even the first wife fails to prove her own marriage and she loses all her rights as wife. Muslim men, on the other hand, who take more than one wife are legally bound to provide each wife not only residence, but also proper maintenance at par with the first wife, right to inherit property of husband and equal care and love as Quran permits polygamy only in exceptional situations with very stringent conditions of doing perfect justice amongst wives. Thus she is better off in comparison to ‘second Hindu wife’, who has no legal status or rights under current law. The second Hindu wife cannot even claim maintenance from her husband. The Supreme Court in D Velusamy case did deny maintenance to the second Hindu wife by holding her as “mistress” and “keep”. Thus, banning polygamy amongst Muslims would simply have an equalising effect of making the second Muslim wife as destitute and vulnerable as the second Hindu wife. Should we diminish the second Muslim wife to this low and illegal status of ‘concubine’ in the name of so-called gender justice is the question which I want country should debate. This was the context in which I said the Hindu second wife has low status in comparison to the Muslim. LiveLaw: You had earlier written that courts cannot dictate Muslims to follow a particular school of Islamic Jurisprudence. Do you still maintain that view? Why do you quote Privy Council decisions? Prof. Faizan Mustafa: The religious law is generally in schools. Hindus law also has schools and sub-schools like Mitakshra, Dayabhaga, Banaras, Madras etc. In Mootoo Ramalinga (1868), the Privy Council clearly held that the duty of a judge while administering Hindu law is not so much to inquire whether a disputed doctrine is fairly deducible from the earliest authorities, as to ascertain whether it has been received by the particular Hindu school which governs the district with which he has to deal. Similarly, the Muslim law has four Sunni schools and Ahle-Hadees who do not follow any school. Shias, too, have several schools. If triple divorce is valid under Hanafi school, how can any court ask Hanafis not to follow their school? Article 26 recognises religious denomination and any sect thereof and gives them freedom to manage their affairs in matters of religion. Thus, Hanafis are entitled to follow law of Hanafi school. For Hanafi school, we cannot quote Quran. We need to rely on Hidaya. Thus, the British got Hidaya translated to dispose of cases of Hanafi Muslims. My anxiety has nothing to do with Islam. It is about Article 26.Freedom of religious denomination under Article 26 is not subject to right to equality under Article 14 and 15 like the individual’s freedom of religion under Article 25. In fact, Article 25 itself is subject to Article 26. It gives freedom to not only religious denomination but also any sect thereof. Thus, a Hanafi cannot be forced to follow Shafi sect or vice versa. This too nuances the position which only those who have sound grounding in constitutional law may appreciate. Wherever there is a dispute between two Hanafis (followers of the Hanafi sect), courts have to decide the dispute according to Hanafi jurisprudence. The Privy Council in the celebrated case of Aga Mahomed v Koolsom Bee (1871) observed that “it would be wrong for the courts to put their own construction on the Koran in opposition to the express ruling of commentators of such great antiquity and high authority”. In Abul Fata Mahomed Ishak (1894) again, it was held by the Privy Council that “it would be extremely dangerous to accept as a general principle that new rules of law are to be introduced because they seem to lawyers of the present day to follow logically from ancient texts however authoritative, when the ancient doctors of the law have not themselves drawn those conclusions”. In Veerankutty case(1956), the Madras High Court similarly cautioned that “we have, therefore, to administer without in any way circumventing or deviating from the original texts, the law as promulgated by the Islamic law givers to suit the present-day conditions; and in doing so, it has to be remembered that courts are not at liberty to refuse to administer any portion of these tenets even though in certain respects they may not sound quite modern”. The Supreme Court has to take these ruling into account while deciding cases on MPL. The Privy Council decisions are law of the land till they are overruled by the Supreme Court. Supreme Court attaches lot of importance to such decisions. By quoting Privy Council decisions if Supreme Court judges do not become Islamist, how can I be called Islamist? No law in India prohibits quoting Privy Council decisions. LiveLaw: Why do you argue that regressive aspects of the Muslim Personal Law, especially the practice of 'triple talaq', cannot be directly challenged as unconstitutional? Prof. Faizan Mustafa: Triple divorce is valid under the Hanafi law. What is Hanafi law, but the opinion of Hanafi jurists. A writ court can declare a ‘law’ as unconstitutional not opinion of experts. Since opinion of jurists cannot be law under Article 13, it cannot be challenged as unconstitutional. Moreover, the current debate even in the Supreme Court is unnecessary as in 2002 itself, the apex court had held in Shamimara case that triple divorce does not dissolve marriage. Similarly, demands of banning triple divorce by the Supreme Court are misplaced, as ‘banning’ would invariably mean ‘prohibiting’ some conduct generally through the instrumentality of ‘criminal law’. Strangely, even Muslim Personal Law Board senior officials, too, are singing the tone of imprisonment for the one who gives triple divorce. Judiciary cannot create new crimes. We need an Act of Parliament to make an act criminal. If government is interested in reforms, it can bring in a law banning triple divorce. I am not opposed to it. But will it work is the million dollar question. I have clearly written that only one divorce should be given after efforts of reconciliation through arbitration have failed. This is exactly what the government’s position is in the on-going case in the Supreme Court. I am for divorce by mutual consent after efforts of reconciliation and arbitration do not yield any results. If divorce is sought by the wife, even triple divorce may be fine to give her quick relief. Sometimes, women do face such hostile environment in their matrimonial homes that asking her to stay there for three months or more would be absolutely against their interest. I am of the opinion that Quran restricts men’s right to divorce and it must pass through arbitration etc. But if wife wants divorce, no need to make efforts of reconciliation. Her right to Khula (divorce) is absolute. She need not give any reasons. Similarly, if there is mutual consent to part, even triple divorce is fine. Judicial divorce is time consuming and goes against the interest of women. Even the Supreme Court’s latest order on Christian divorce is problematic as it will not serve the cause of women but lead to pendency of cases. Lawyers alone will benefit. For women getting divorce in some situations is better as it will give them freedom from a cruel husband. After divorce, they would be free to marry anyone and start their life afresh. This order is not applicable to Muslims as they do not have any law like the Indian Divorce Act. In my view, divorce should not be either too easy or too cumbersome or difficult. Pre-nuptial agreement with details of divorce procedure, and rights and liabilities on divorce is the best option. LiveLaw: Why do you want the 'Ulema' to be taken on board for reforms in the Muslim Personal Law? Prof. Faizan Mustafa: Because people listen to them, not me. I had said it before that they will not accept my leadership or that of even liberal Muslim women activists. They will question our religiosity and expertise in Muslim law. I am reconciled to this harsh reality. On the other hand, if instead of criticising the ulema, we try to convince them with sound arguments based on Islamic Fiqh, reform process can be accelerated and results of progressive court decisions or legislative reforms would be visible on ground. My call for the ulema is - Let them show the same liberal attitude which the conservative ulema demonstrated at the time of enactment of the Dissolution of Muslim Marriage Act,1939. Let them agree to one divorce as per the Quranic procedure of divorce after arbitration. Let them agree to abolition of polygamy on the analogy of slavery. Let them come forward to popularise not only pre-nuptial marriage contracts, but also divorces through mutual consent under a divorce deed with rights and liabilities clearly laid down. But all this would be possible if we do not bully them and win over their trust. Minority bashing must end. Members of ruling party or even ministers who made provocative statements against Muslims must be expelled to send right signals. LiveLaw: What are the difficulties in having one law for the whole nation when it comes to regulating family affairs? Prof. Faizan Mustafa: We are a huge country with great diversities. We have given constitutional protection to tribal practices. Even our criminal law has not been extended to Nagaland. ‘Personal Laws’ as a subject of legislation is in concurrent list and thus both Centre as well as states can make laws. Thus, uniformity in personal laws was not intended by the framers of the Constitution, It is a myth that Hindus are governed by one law. Similarly, all Muslims are not governed by one law. In fact, some Muslims are still governed by unreformed Shastric Hindu law. Having one law in itself is not something very great. In USA, even criminal law differs from state to state. Are ‘laws’ just is the moot question? For me, ‘just code’ is more important than uniform code. To me, even different laws are acceptable if they are just and ensure some kind of uniformity of rights. LiveLaw: What is your position on Uniform Civil Code? Prof. Faizan Mustafa: As far as the Uniform Civil Code is concerned, I have consistently maintained that I favour a transition towards the same in a piecemeal manner. (Bring Piecemeal Reforms, The Hindu, July 2, 2014; Look Who is Talking, The Indian Express, November 11, 2016). This position is different from both that of the All-India Muslim Personal Law Board as well as some Muslim female interveners in the Supreme Court. For instance, the BMMA, which is leading current campaign for reforms in Muslim law, is opposed to the Uniform Civil Code. Even the present Central Government, in its affidavit before the Supreme Court, has not explicitly mentioned the enactment of a Uniform Civil Code. The Central Government, too, has advocated just for the adoption of Quranic procedure of divorce in its affidavit. In fact, the Modi government in 2015 in the Kerala High Court clearly stated in its affidavit that it is the policy of the government not to interfere in any community’s personal laws unless a demand is made for reforms from cross sections of such community. It is my grievance that no government has so far presented any blueprint of the Uniform Civil Code. The NDA government, headed by Atal BihariVajpayee, did abandon the Uniform Civil Code to stay in power. Who has the courage to call Vajpayee and Advani as hidden Isalamist? We need to see acceptability of the Uniform Civil Code within the Hindu community. Are they willing to accept Mehar or Dower payable by husband to wife, agree to deletion of kanyadaan, pre-nuptial contract, give up income tax exemption under Hindu Joint Family, accept restrictions on the power to make will etc. In the UCC, good provisions of all laws are to be taken. I give no importance to the civil code prepared by some individuals in their private capacity. These people have no idea about the distinction between Criminal Law and Civil Law, and have mixed up even citizenship with civil code. The whole country ignored this code. LiveLaw: Is enactment of Uniform Civil Code a threat to Islam? Prof. Faizan Mustafa: Not at all. The Uniform Civil Code is there in Europe and United States. Muslims live happily there. Goa, too, has a kind of UCC, yet Muslims are having no problem there. The UCC will not adversely affect Islam. LiveLaw: Some critics have described your positions as those which run against the grain of 'equal protection before the law'? A recent article has even called for your removal from the position of Vice-Chancellor at Nalsar. What is your response? Prof. Faizan Mustafa: This is absurd. I teach Constitutional Law and my students know how much time I spend on Article 14. Of course, I am against ‘formal equality’. My people may not be aware of criticism of ‘sameness doctrine’. I am against the ‘same treatment’ doctrine, as it impinges on women’s distinctive identity and preferences. I am also against the Supreme Court’s so-called ‘protective’ approach towards gender in upholding laws in favour of women, as it shows them as inferior and in need of protection. I consider them ‘different but equal’. I am for ‘substantive equality’. I spoke on this yesterday at University of Madras at the 15th National Conference of Indian Association of Women Studies. To me, uniformity of rights is more important than mere formal uniformity of laws. I think I am doing well as Vice-Chancellor. The mere fact that you are doing this interview on my articles does show that I am not just an administrator, but an active law teacher. I think Indian universities do need such Vice-Chancellors who are academically active and are independent in their thinking and willing to call a spade a spade. The Nalsar Act mandates dissemination of knowledge about current legal issues. It imposes a duty on me to help people to have informed debates on current legal problems. I think with my writings, I did bring in an alternative nuanced perspective. In any case, under freedom of speech, I am entitled to express even absurd and ridiculous ideas. There is no black and white in law. There is a lot of grey area. I try to highlight this grey area that colour-blind critics cannot see.